Bristol a new boutique motorcycle brand enters the Philippine market to provide quality retro-styled bikes at competitive prices. Bristol aims to provide meticulously-built unique European-inspired bespoke styled motorcycles for the casual rider to the discerning enthusiast. Bristol motorcycles are developed with quality from renowned international OEM automotive and motorcycle suppliers. Our bikes feature Italian design, electronics from Delphi Technologies USA, Mikuni injection components from Japan, and powertrain from Hartford Taiwan. The Bristol brand is made for the rebel in you, giving you total freedom on the road. We aim to provide quality-built, retro-styled motorcycles that are easily customizable for the individuals who like to stand out. Bristol Motorcycles is exclusively distributed by Sinski Motorcycle Philippines targeted at individuals with a discerning taste for two-wheeled vehicles. “We at Sinski have always believed in giving Filipinos affordably-priced quality products. Our new Bristol motorcycles are made with top-grade international quality components and meticulously built by skilled craftsmen to give Filipinos a competitively-priced ride they can be proud of,” said Anthony Chua, president and CEO Sinski Motorcycle Philippines Inc. Headlining the brand’s entry to the market are two high-end models, the Bristol Classic 400i and the Bristol BR 400i café racer. Both motorcycle models are available in two trims, with or without ABS (Anti-lock Braking System). The Classic 400i combines a relaxed riding stance, traditional styling with modern amenities for today’s discerning rider. Featuring a large chrome front halogen headlight to give you a good view of the road ahead, one-piece handlebar with dual instrumentation and bullet-style indicator lights for that vintage look. It is powered by 4-stroke 400cc engine rated at 28 horsepower @ 7200 rpm with maximum torque of 33 Nm @ 5600 rpm, and meets Euro-4 emission standards. It comes fitted with twin-pipe stainless steel exhaust system with stylish mufflers. It is equipped with telescopic front fork and adjustable rear suspension. The Classic 400i is equipped with single-disc brake for the front and rear, and comes standard with all-weather tires. A higher-spec Classic 400i Ω is available with front and rear anti-lock braking system (ABS) for better peace of mind on the road. The BR 400i is aimed at the inner rebel, featuring café racer styling with modern amenities for free-spirited rider. Featuring a lower stance, it is highlighted by a two-piece lightweight aluminum alloy handlebars with dual instrumentation, large chrome front halogen headlight to give you a good view of the road ahead, and bullet-style indicator lights to complete the retro rebel look. It is powered by an 4-stroke 400cc engine rated at 28 horsepower @ 7200 rpm with maximum torque of 33 Nm @ 5600 rpm, and meets Euro-4 emission standards. It comes fitted with twin-pipe stainless steel exhaust system with stylish mufflers. It is equipped with telescopic front fork and adjustable rear suspension with remote reservoir shocks. Braking is courtesy of single-discs for front and rear, the BR 400i is equipped with all-weather tires. The top-range BR 400i Ω adds better performance and safety to the standard café racer model in the form of inverted front forks, dual disc front brakes with anti-lock braking system (ABS) and single disc brakes with ABS for the rear. 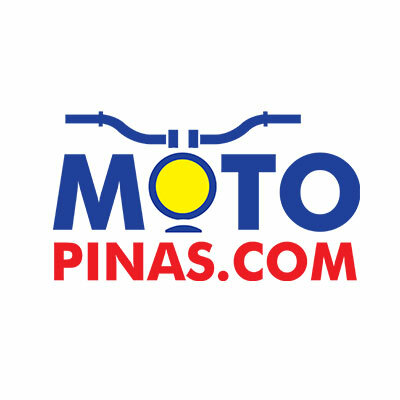 Bristol Motorycle's lineup can be viewed in their showroom located at 351 Macario Asistio Sr, Grace Park East, Caloocan City. Know the legal basis behind the confiscation of motorcycle accessories. Honda debuts its new middleweight Neo Sports Café concept at the 2018 Paris Motor Show.